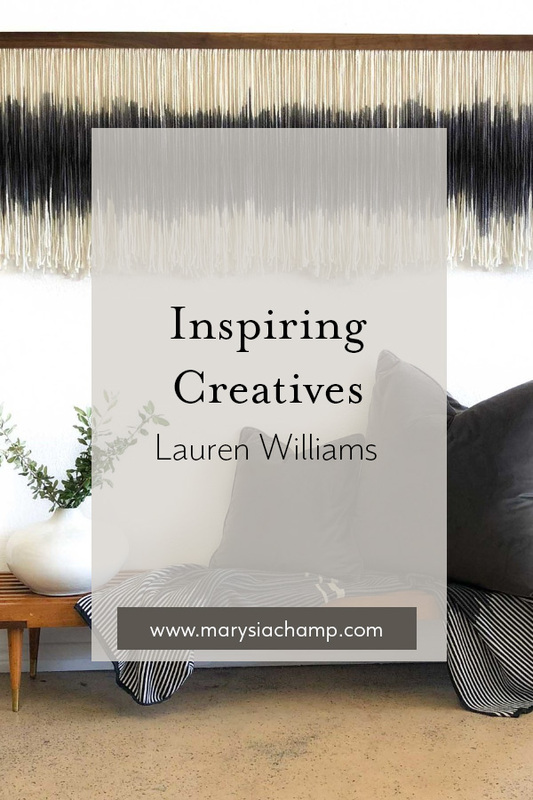 Today's inspiring creative and entrepreneur is Lauren Williams from Lauren William's Art. Today I am showcasing Lauren Williams. She is a Dallas based modern fiber artist. Lauren makes large and oversized abstract dyed fiber wall tapestries. Some of these are landscapes and seascapes while others are purely abstract in nature. All of them are one of a kind and completely awe inspiring. Lauren calls her large tapestries canvas with movement. I definitely think that the name captures them well. I just love the way she has taken textile art and made them into these abstract paintings on yarn. Find her website and instagram here!